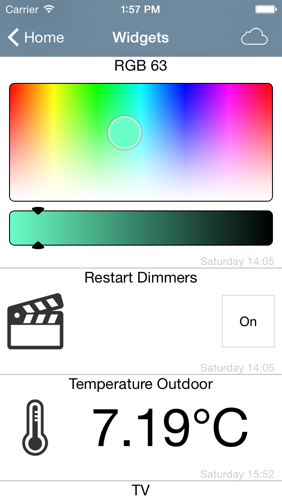 Home Control is a app that allows you to control your smart home based on Z-Wave technology. Home Control supports remote and local access with authentication. 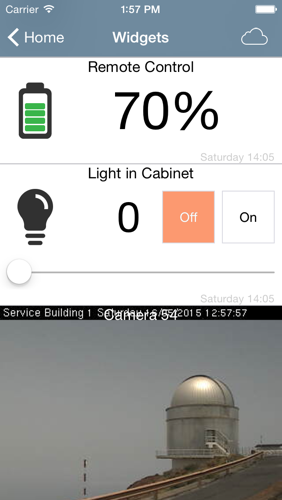 Home Control allows you to control devices such as dimmers, blinds, switches, motion sensors, temperature, door sensors, RGB, etc. 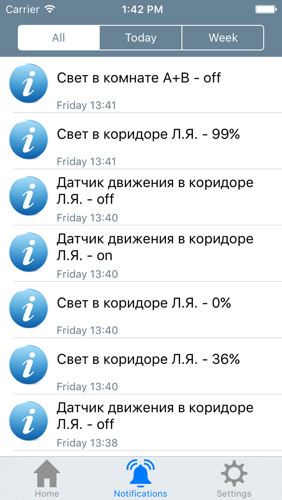 Dashboard shows only the favorits device, the Widgets shows all your devices. 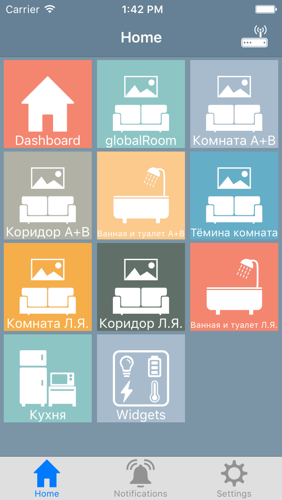 Devices can be grouped by rooms, this is configurable from the Web interface RaZberry. Update the status of devices takes place in real time, so you will always know when someone turned on the light or sensor triggered. To update the status of the sensor, for example temperature, you just need to click on the thermometer icon. Last edited by aivs on 04 Feb 2016 17:52, edited 2 times in total. Just tried Home Control for iPhone. i entered password for admin, ip address and port, id and remote access password and it works for me. 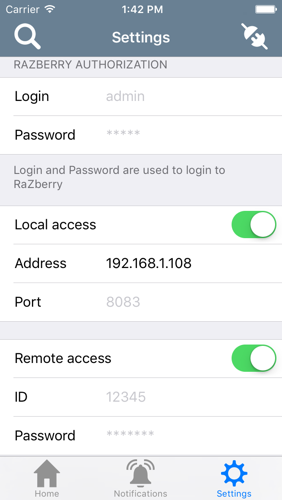 find razberry in local network did not work. Which Version of Z-Way Server do You run? tried it this morning and it didn't work, turned out the web server was crashed on the Pi. Restart the Pi and it works again. for some reason i can't connect from LTE. if i use https://find.z-wave.me in a web browser it works. OK, seems there is a Problem with RC2 betas. Quax1507 wrote: OK, seems there is a Problem with RC2 betas. You should only use v2.0.2-rc1. The others are highly experimental and not recommended for use outside the developers team! can anybody connect thru LTE??? RottenMutt wrote: is https://find.z-wave.me/ down?? find zwave is back up. i installed v2.0.1 and v2.0.2-rc1 and still can't connect away from home.